Even though I have autographs of my boyhood idol Hank Sauer (see August 2 post), I do have one possession that ranks even higher. It is a handwritten diary of my great grandfather, Peter Larsen. 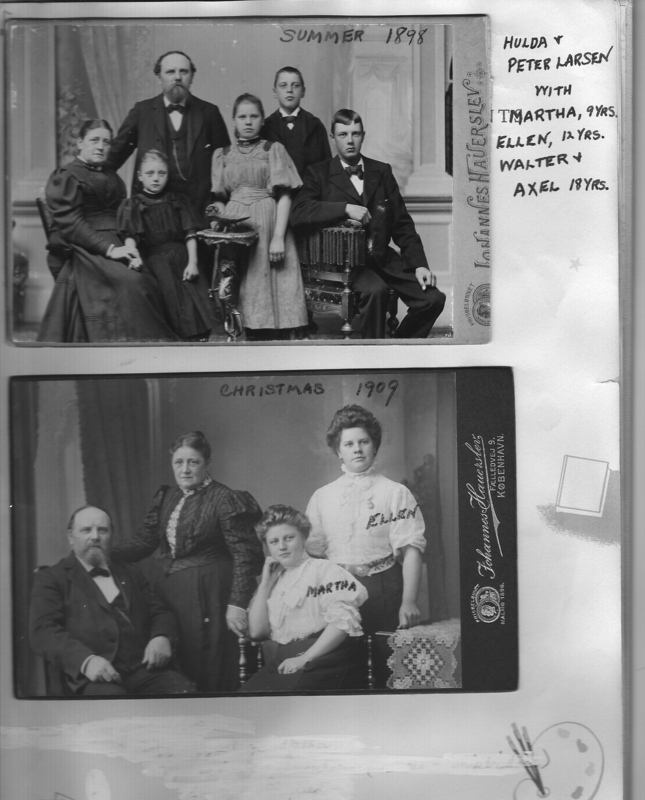 The journal is a veritable fountain of genealogical information about my father’s mother’s (Ellen’s) family. It opens in the 1880’s in Denmark, goes through 1912 when Peter Larsen died and continues through 1922 – with the later entries in the hand of Peter’s daughter. One entry is especially memorable: Torsdag den 15 Marhs fik Ellen en lille Dreng son idanchen fik naunch: Peter Vilhelm Petersen. It is an entry announcing (in Danish) the birth of my father on March 15, 1913. I recently had the diary translated and I sent copies to family on my father’s side – who I have not seen or heard from in decades. It has prompted a happy reunion and renewed sense of family. What do we value above all else? Family – to be sure. But those physical items that one has? “Things.” If the need ever arose, I’m not sure there is much in my house that I would want to take save for Donna, Daisy and this old diary. It makes one think about the things that are truly important. A Hole-in-One . . . .almost. . . .